This step by step tutorial explains how to generate a CSR code and install an SSL Certificate on Checkpoint VPN gateway appliance. 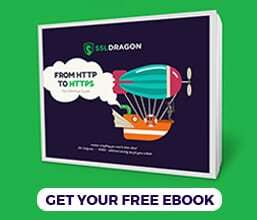 Besides the configuration instructions, you will also learn a few interesting facts about Checkpoint, as well as discover the best place to shop for SSL Certificates. 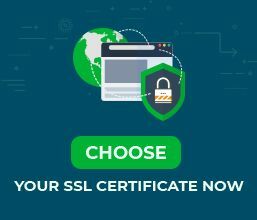 Where to buy the best SSL Certificate for Checkpoint VPN? Creating a CSR (Certificate Signing Request) code is a mandatory pre-installation step every SSL applicant must perform. Usually, CSR generation and SSL installation are separate from one another, but with Checkpoint VPN, things are not as straightforward. Checkpoint asks users to install both Root and Intermediate CA before they can Generate their CSR code. Consequently, you will have to ask your SSL Vendor or CA provider for these two SSL files. A root SSL certificate is a certificate issued by a trusted Certificate Authority (CA) that sits at the top of the SSL chain of trust. The root SSL Certificate is included in the browser’s trusted root store. An intermediate CA certificate is a subordinate certificate signed by the trusted root to issue end-user server certificates. It resides below the root certificate in the SSL chain of trust hierarchy. The intermediate CA certificate offers another layer of security, as it’s not issued directly from the root store. How to get the root and intermediate certs? In a typical SSL configuration, you receive all the necessary certificates after you generate the CSR Code and your CA validates your request. After the CA signs an SSL Certificate, it sends a ZIP folder with the installation files to the applicant’s email. Since Checkpoint VPN works the other way around, you have no choice but to contact your SSL vendor and as for the x509/pem versions of your root and intermediate certificates. Please follow the steps below to generate your CSR Code. Note: Some CAs require two intermediate certs for better browsers compatibility. You should create a separate .crt file for each certificate and install them one at a time. Go to Servers > Trusted CAs and look for your root and intermediate certificates. If they are there, the import was successful. You will need to use the CSR code during your SSL order with your vendor. Congratulations, you’ve successfully installed an SSL Certificate on CheckPoint VPN. After you install an SSL certificate on CheckPoint VPN, some SSL errors or vulnerabilities may still exist. To avoid potential trouble, it’s recommended to run a diagnostic test on your SSL installation. Plenty of SSL tools can instantly generate reports on your SSL Certificate. In this article, we’ve selected the best options. Check Point Software Technologies Ltd. is an Israeli multinational company specializing in software and combined hardware and software products for IT security, including network security, endpoint security, mobile security, data security, and security management. Founded by Ramat Gan in 1993, Check Point has acquired a number of impressive companies and divisions, including Nokia’s Security Appliances division in 2009. SSL Dragon’s prices are the most competitive on the market, while our dedicated support team is highly appreciated by the existing customers. If you don’t know what type of SSL certificate to choose, simply use our SSL Wizard and Certificate Filter tools. They will help you find the ideal SSL product for your website.